When I graduated from college in 1968, I moved to an apartment right across the hall from George. Tenants there were mostly students but I moved in with my brother. 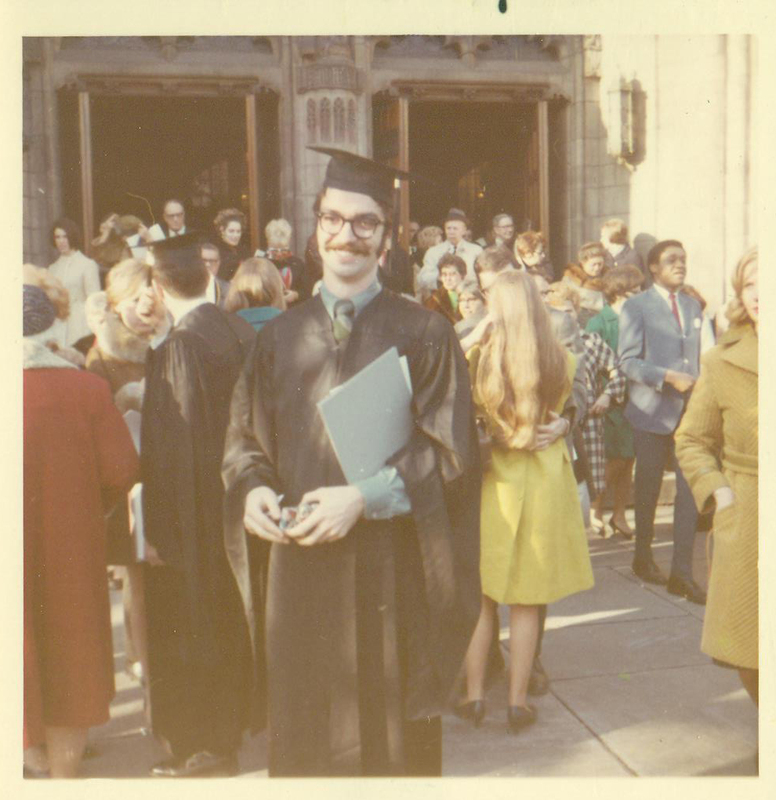 George Schmidt at the University of Chicago graduation ceremony in 1969.George was working his way through college, it may seem ironically, as a security guard at Carson's. George generously had a dinner party open to anyone on Monday nights, serving salad and spaghetti, and I attended some of these. One of his roommates taught Sociology at the Police Academy, and hosted a party for each graduating class. I attended one or two of those as well, and saw a mix of personalities joining the Chicago Police. I was able to follow George's doings over the last five decades, initially through occasional news items and then on the internet. I admire him for his ability to consistently focus his life and career on the things that were important to him.